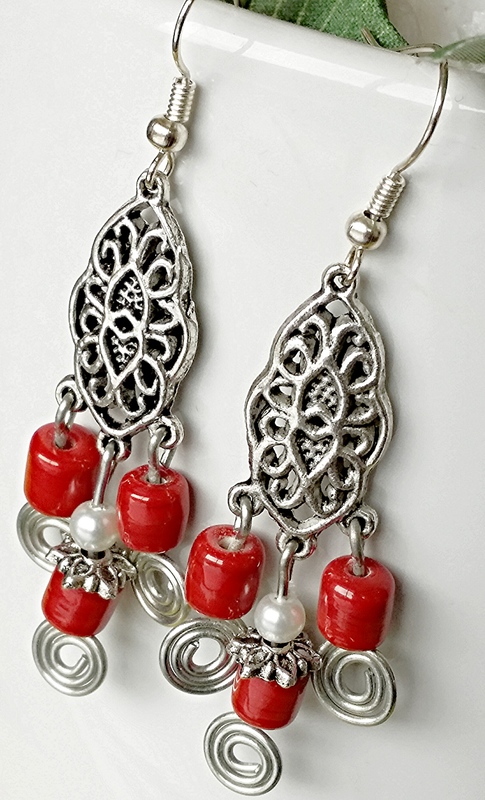 Wired red coral chandelier earrings! ! 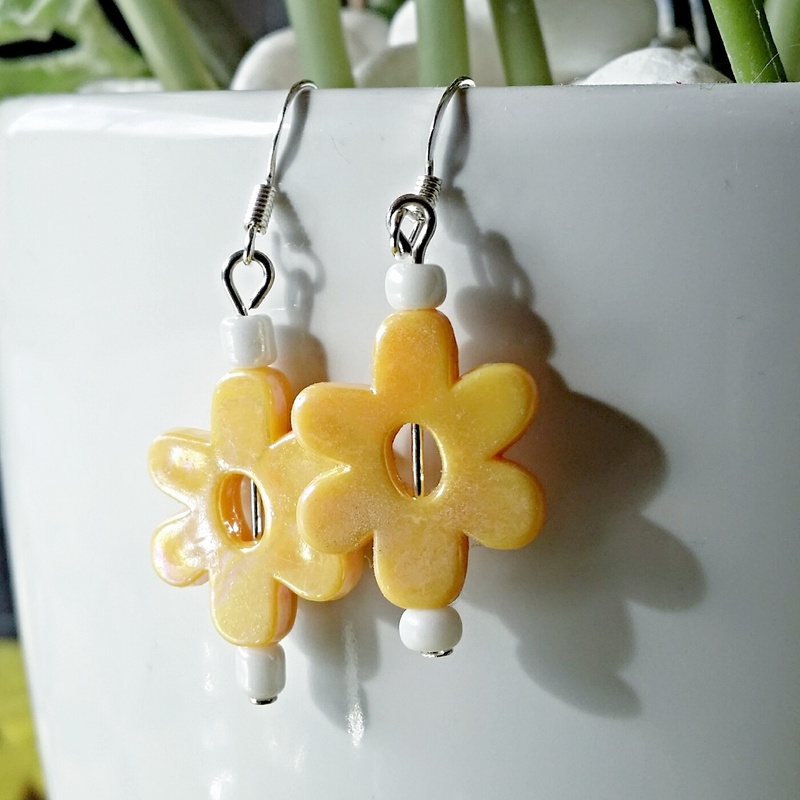 One of the easiest way to make own earrings! ! 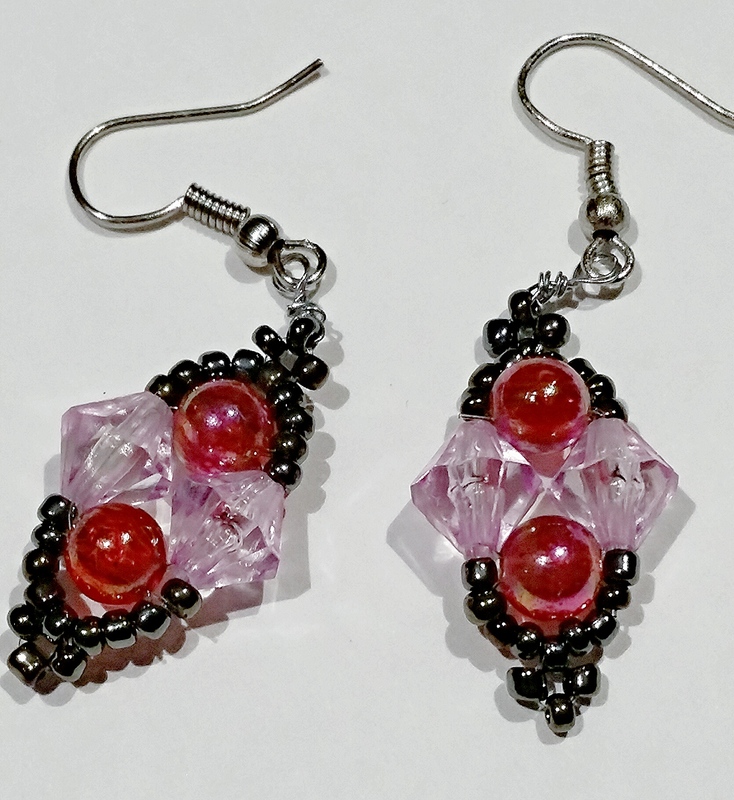 Beading technique of jewellery making is quite fun and can easily make you addicted as well. 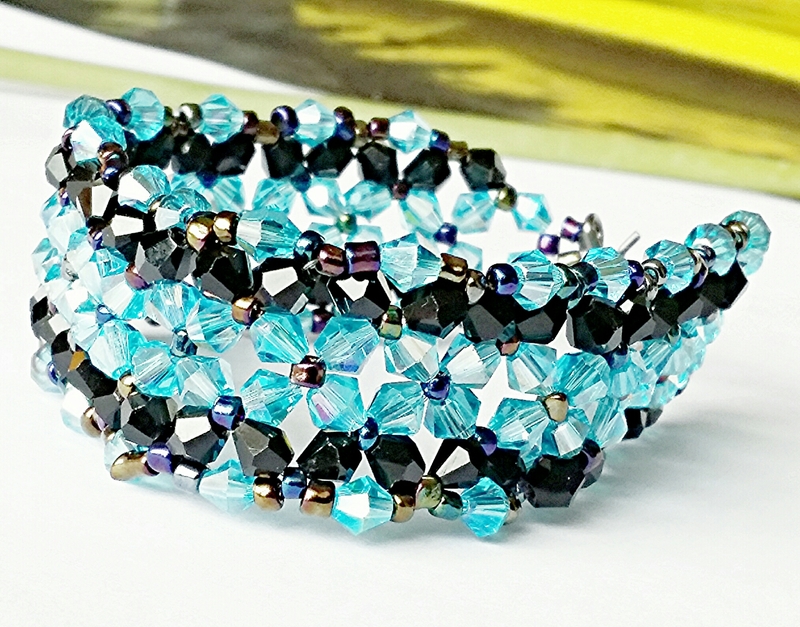 What I found that when you use crystals in your beading patterns. 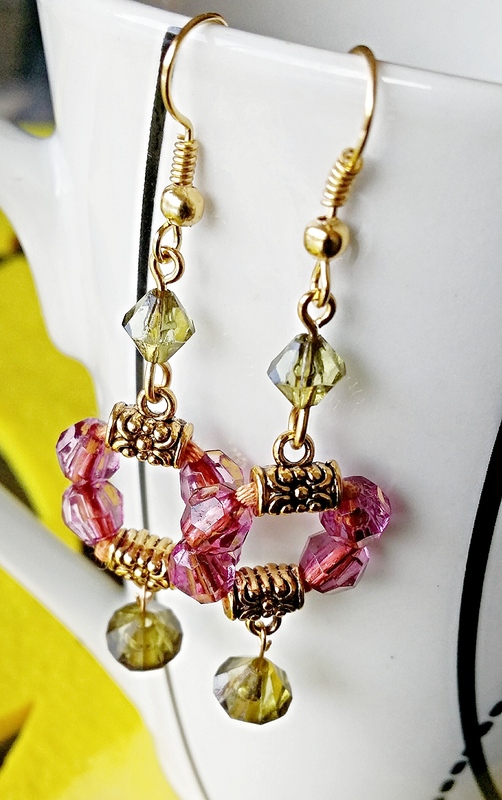 .the elegance of the piece of jewellery , increases ten fold! ! No wonder it attracts more women! !! 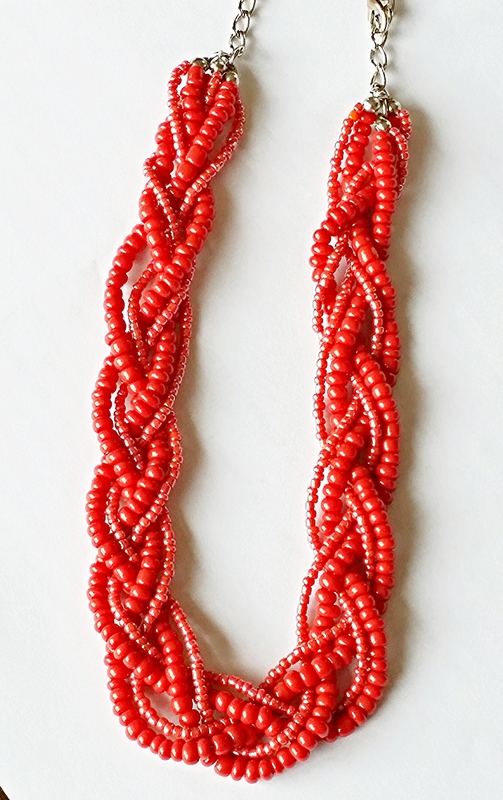 Red glass seed bead braided necklace! ! 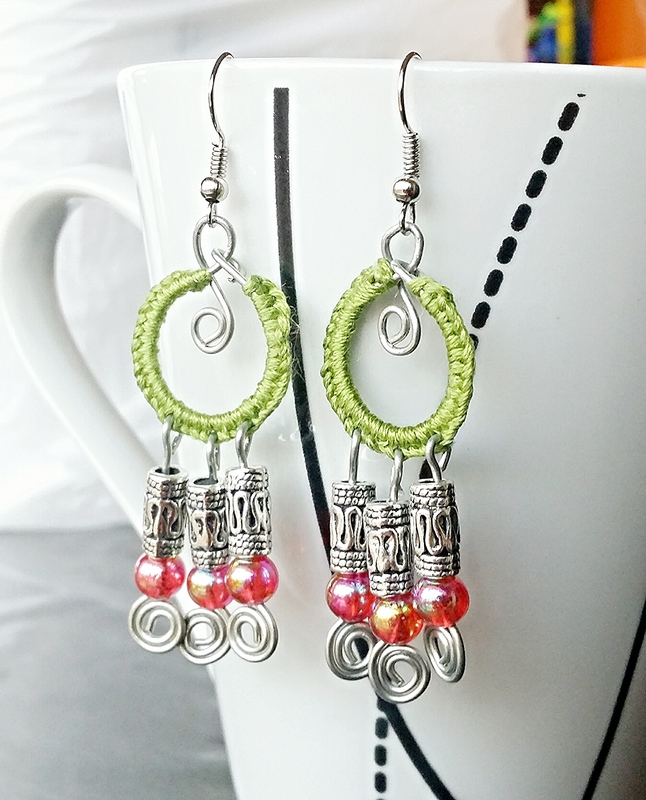 Always thought making braided necklace was quite difficult! But no! !! 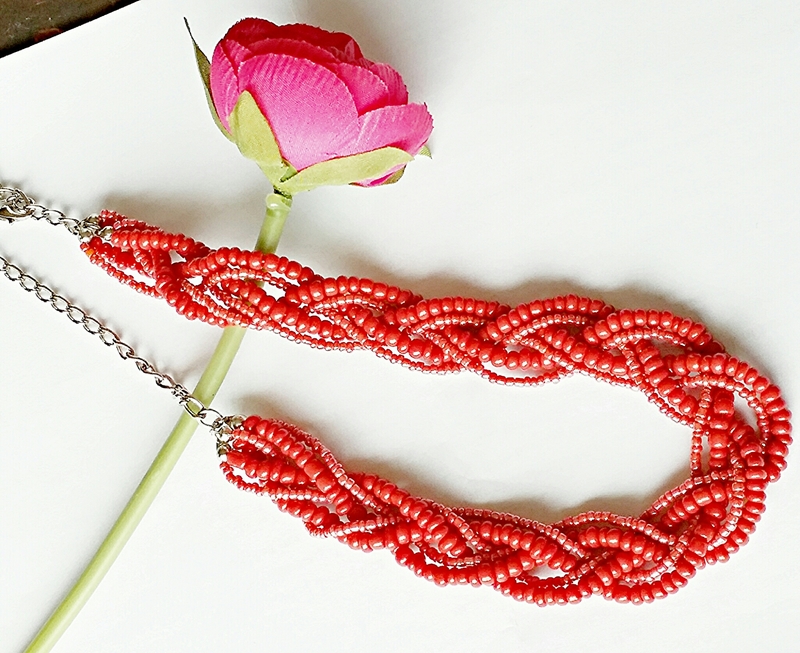 It’s actually very easy to make the braided necklace! ! Hi, thinking what I am referring to? 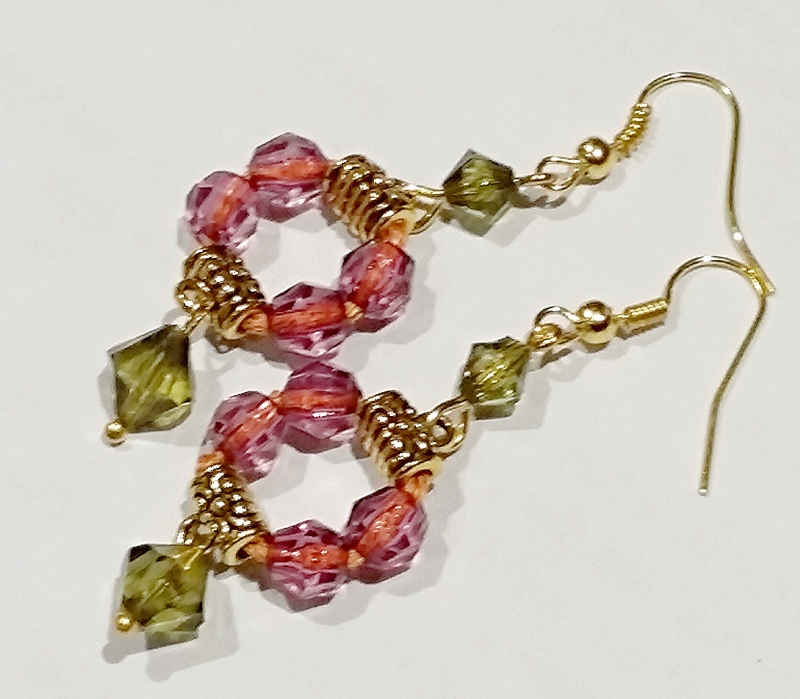 Yes, it’s another successful trial which gives me another wonderful jewelry making technique ! 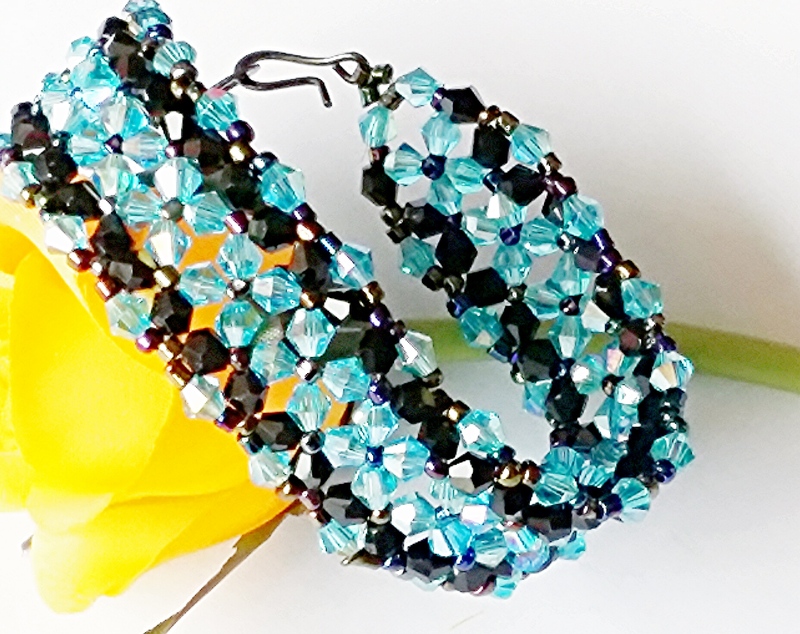 I use beading technique in most of my handmade jewelries. 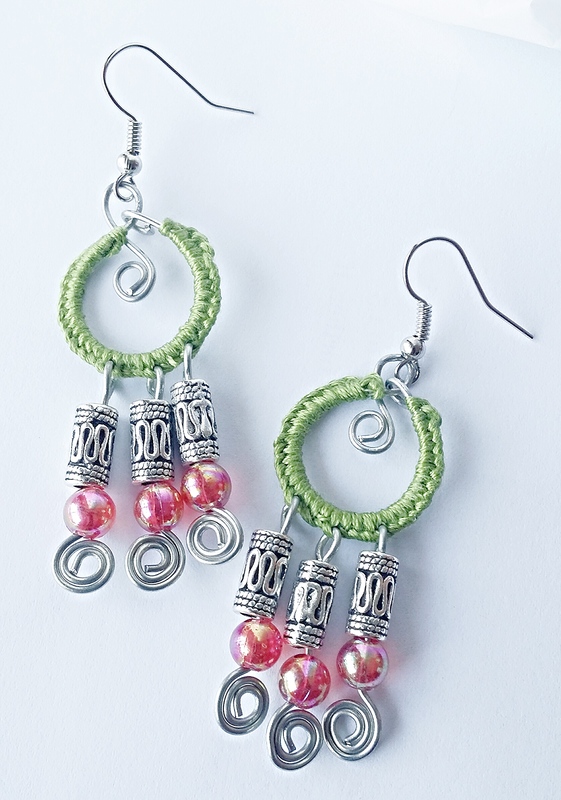 Instead of using normal thread which is usually clear in colour, have used a coloured embroidery thread. . 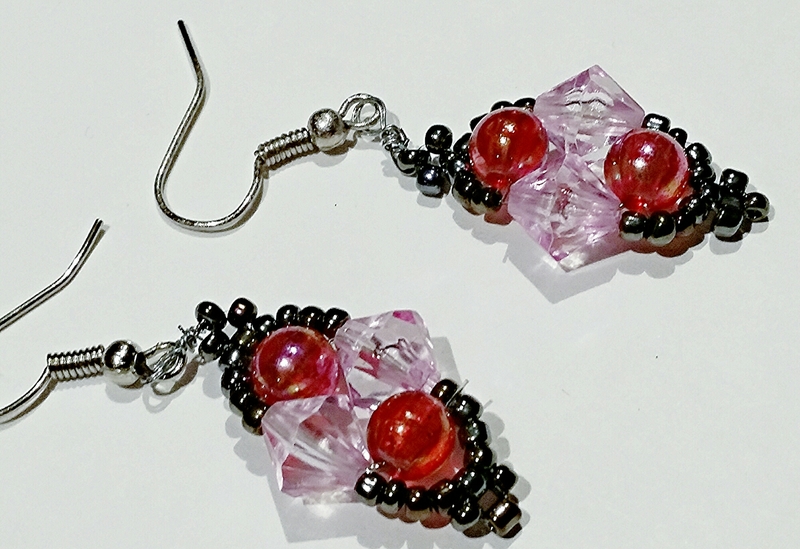 Result is my natural pink acrylic beads now shows up as a distinct pink with lovely orange mix ..this combined with green acrylic beads -gives a very vibrant pair of earrings! ! 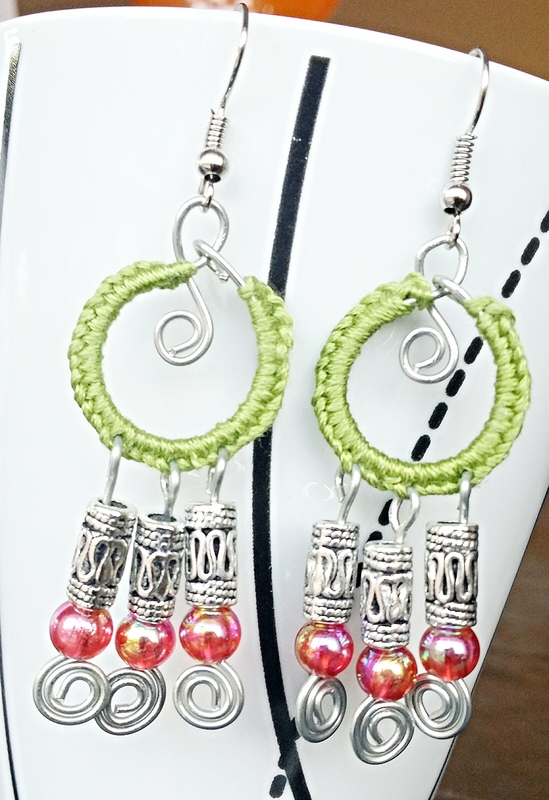 Now my next step is to trial out this method with various beads and colored threads! ! New addition to my collection! !! 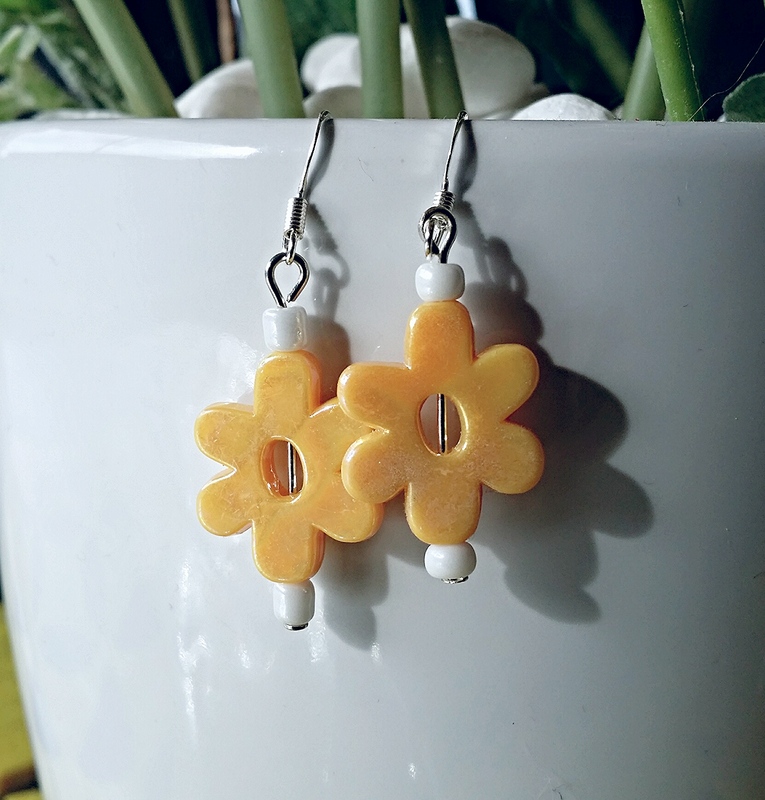 Newly made another pair of earrings! 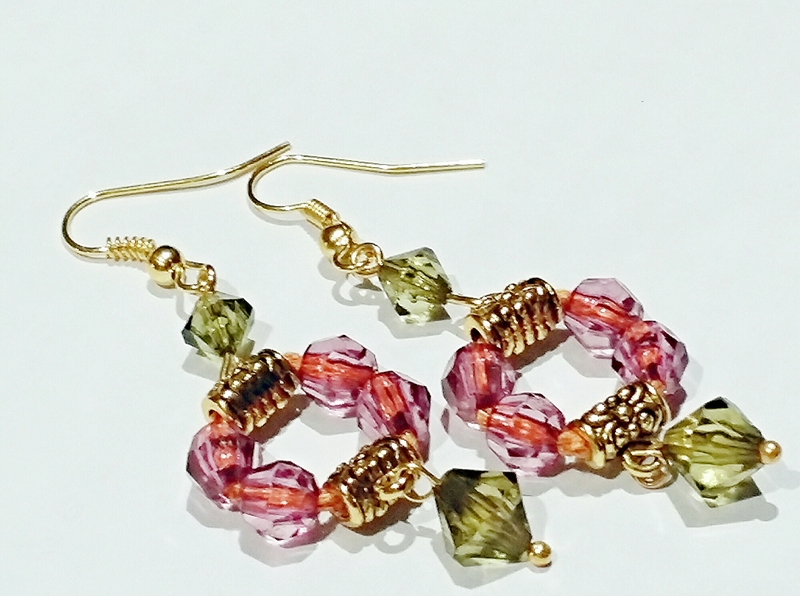 Made using 2 different jewellery making techniques!